Julie Jones Manning was part of a small work group assembled by Hans Neukomm, Sr. in the early 1990s to develop what was to become the Leadership Corvallis program. “I was so excited about the concept that I ended up applying to the program myself, and I was a member of the first Leadership Corvallis class,” she says. Since then, she’s served in a variety of roles for the program, including as a board member, committee chair, day session organizer and as a member of the advisory board. She’s also been a speaker at two of the Leadership Corvallis graduation celebrations and was honored to be the first recipient of the Hans Neukomm award. What did you like most about participating in Leadership Corvallis? Julie serves as the vice president for marketing, public relations and community health promotion at Samaritan Health Services, a Corvallis-based regional health system comprising hospitals, physicians and health plans serving Linn, Benton and Lincoln counties. In addition to her responsibilities at Samaritan Health, Julie completed a four-year term as mayor of Corvallis in December 2014. During her tenure, she was appointed by former Gov. John Kitzhaber as co-convener for establishing RAIN (Regional Accelerator and Innovation Network), which fosters technology-based companies and jobs in the Southern Willamette Valley. She served on the RAIN board of directors as well as on the boards of the League of Oregon Cities and the Cascades West Council of Governments. She received the Leadership Award of Merit from the Oregon Mayors’ Association in September 2014. 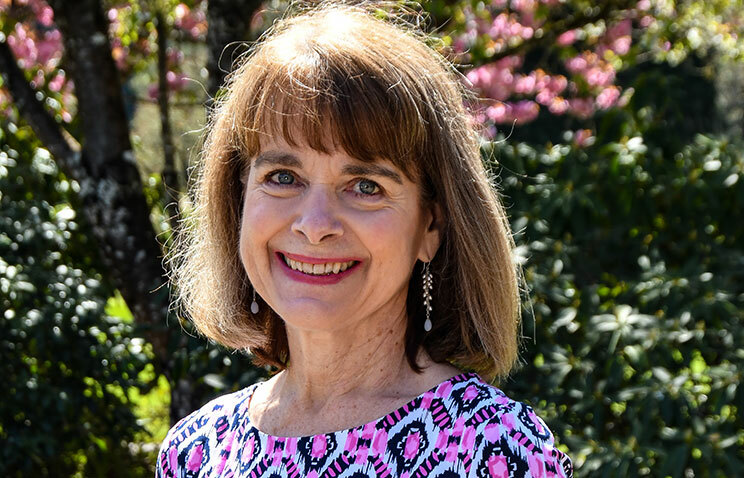 Prior to joining Samaritan Health in 1985, Julie served as a high school and college instructor in journalism and mass media, as a daily newspaper reporter, and as assistant press secretary to former Oregon Gov. Vic Atiyeh. She received a bachelor’s degree in communications from Lewis and Clark College in Portland and a master’s degree in print journalism from Boston University. Julie has served in leadership roles in state and national professional organizations and is an active community volunteer. Currently, she serves as board co-chair of the Early Learning Hub of Linn, Benton and Lincoln counties and is a member of the Oregon State University Board of Trustees. She is also a board member of the Benton Community Foundation and for Oregon Humanities. In addition, she serves on the Oregon Community Foundation’s Leadership Council for the Southern Willamette region. Julie was named Corvallis’ Junior First Citizen in 1997 and Corvallis’ First Citizen in 2005. A new group of area residents are set to take on a 10-month-long deep dive into various areas of the local community in this year’s Leadership Corvallis program. 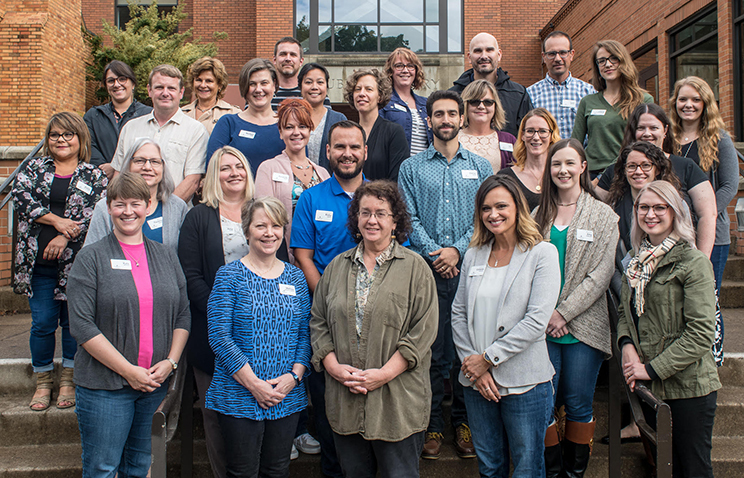 Twenty-seven local citizens have been accepted into Leadership Corvallis, a program that prepares local citizens to take an active role in shaping community policy. 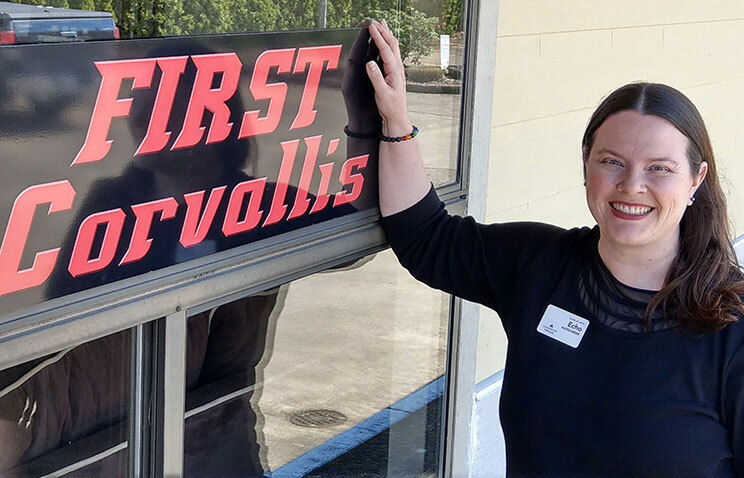 Through site tours, presentations, panel discussions and more, participants learn about the processes, agencies, institutions and the people behind them that make Corvallis function and thrive. Leadership Corvallis participants gather on the second Thursday of each month, with the exception of June, for a daylong session covering one segment of community life in Corvallis in a curriculum keyed to Imagine Corvallis 2040, the city’s governing planning document. Each day is developed and hosted by community leaders who share their professional insights to inspire the next generation of leaders in Corvallis. This year’s curriculum covers a wide range of topics, including community leadership, Corvallis culture, economic vitality, education, government and public services, health care, human services, land-use planning and natural resources. Julia Perkins, Community Outreach, Inc.
Melissa Carter-Goodrum, GP Strategies, Inc.